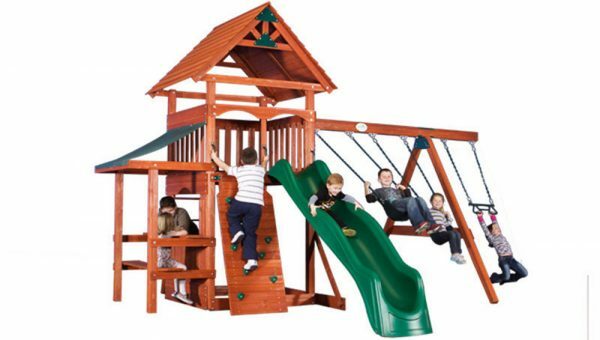 Like the mountains at Glacier National Park in Montana, this playset is tall and inviting! Compare the Glacier to similarly-priced outdoor playsets at your local home improvement store, and you’ll find stronger construction and more play value in this popular Expedition Playset! Wooden Swing can deliver and install outdoor playsets anywhere in the Dallas Metro area.